1. CONVERSANO, black, a Neapolitan (Italian) (b. 1767). Conversano's have Arab blood, strong ram-like heads short backs, broad hocks and dignified movements. 2. FAVORY, dun, a Bohemian origin (b. 1779), transferred from Kladrub. The Arab influence is noticeable in the Favory's by their lighter build but the soft curve of their nose still calls to mind their Spanish ancestry. 3.MAESTOSO, grey,(b. 1773), transferred from Kladrub. Maestoso's are powerful horses with a long back, extremely muscular croups and heavy heads. 6. 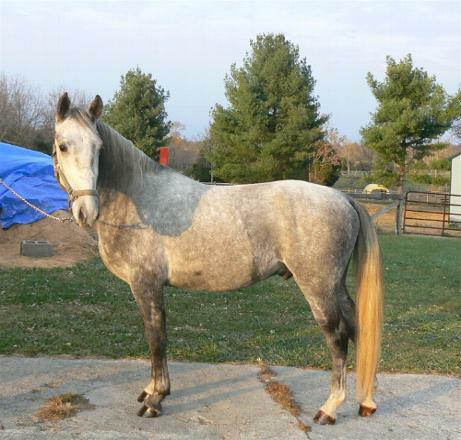 SIGLAVY, grey, an Arabian (b. 1810). 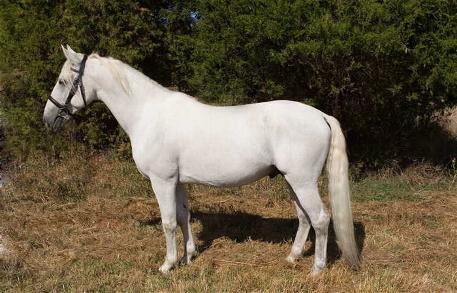 The Siglavy's typify the Arab Lipizzaner with aristocratic heads, a slender neck, high withers and a relatively short back. 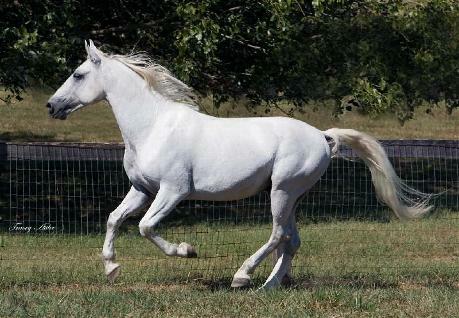 Seven Arab stallions were used to develop the breed during the period from 1807 to 1856. They were: SIGLAVY, TADMOR, GAZLAN, SAYDAN, SAMSON, HADUDI, and BEN AZET. Of the seven Arabian stallions used, only Siglavy founded a separate dynasty. At Touchstone Acres we stand 261 Maestoso Samira XXI, foaled 3/28/00 in Slovenia near Lipica. We also have a colt Neapolitano Samira VI imported in utero. His sire is 857 Neapolitano Wera XI who stands at stud Lipica. His damsire is Siglavy. 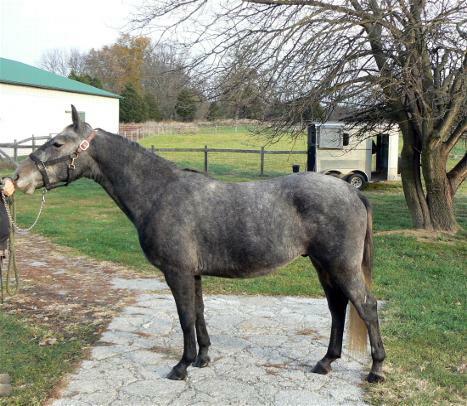 This gelding is a Favory with a Maestoso damsire. 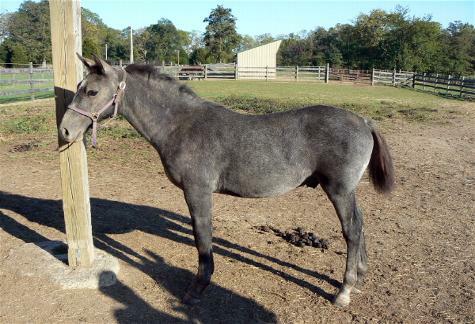 This weanling colt is a Favory with a Siglavy damsire.